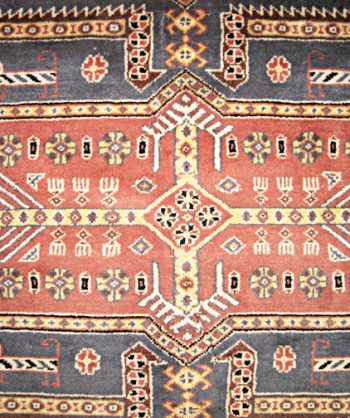 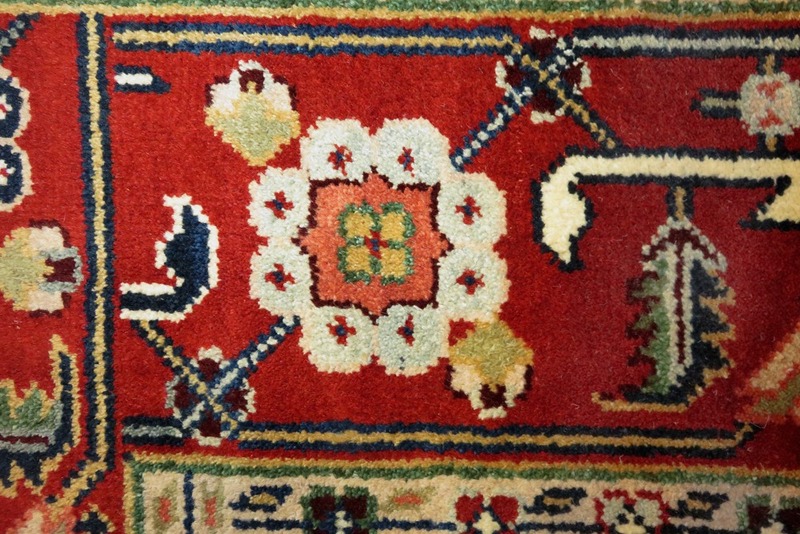 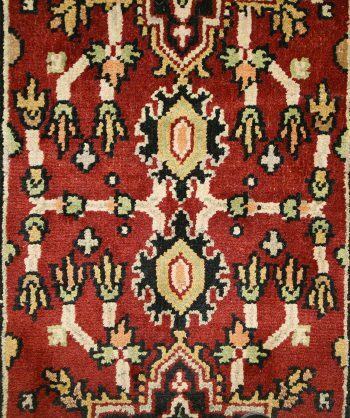 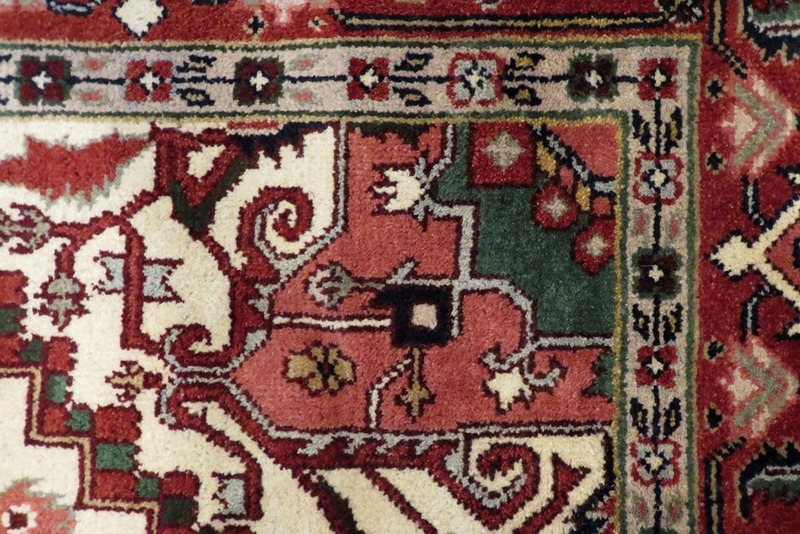 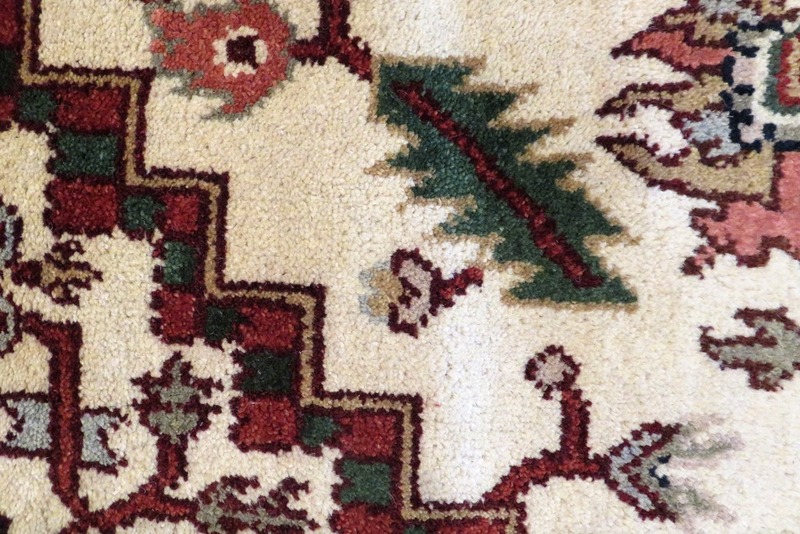 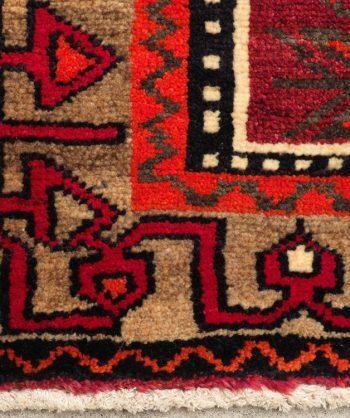 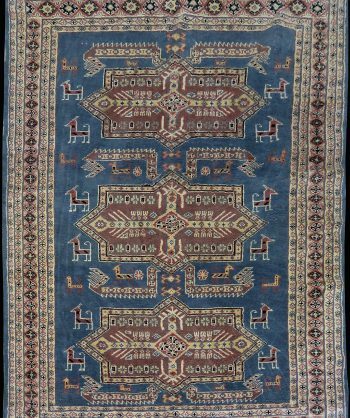 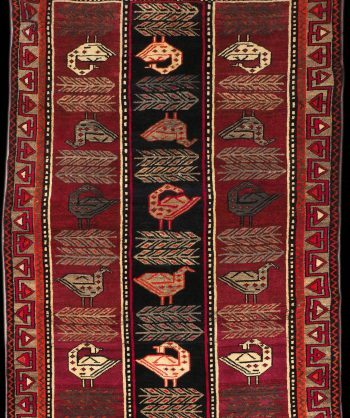 This beautiful Persian Heriz Rug is hand-made from hand-spun wool. 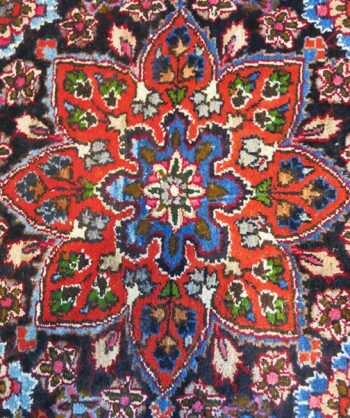 The dyes used are all natural and derived from local vegetables and earthen mixtures derived from ancient ancestral formulas that are secret from other villages in surrounding areas. 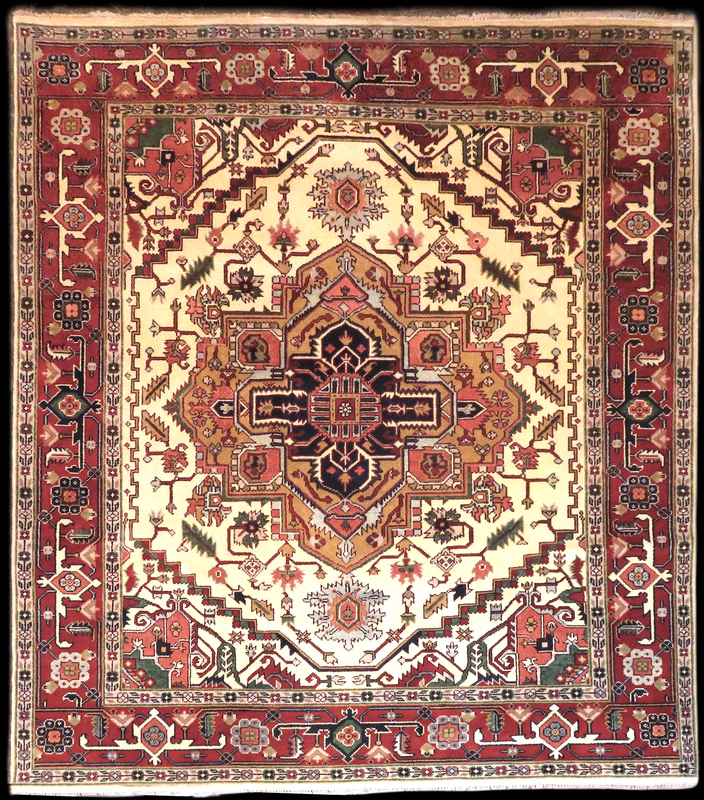 Categories: New, Kazak/Caucasian, Traditional, Large. 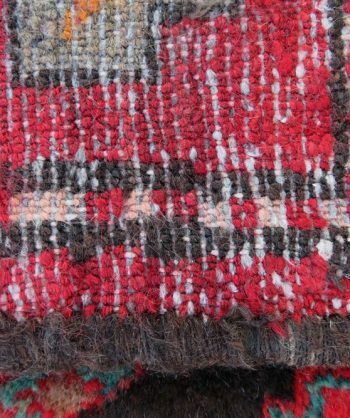 Tags: Heriz, vegetable dyes, Wool. 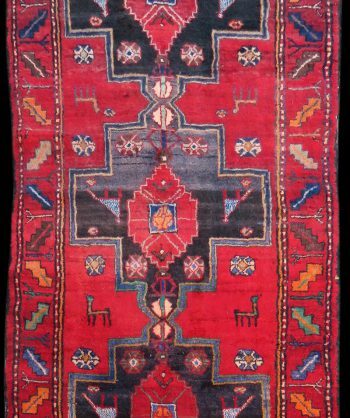 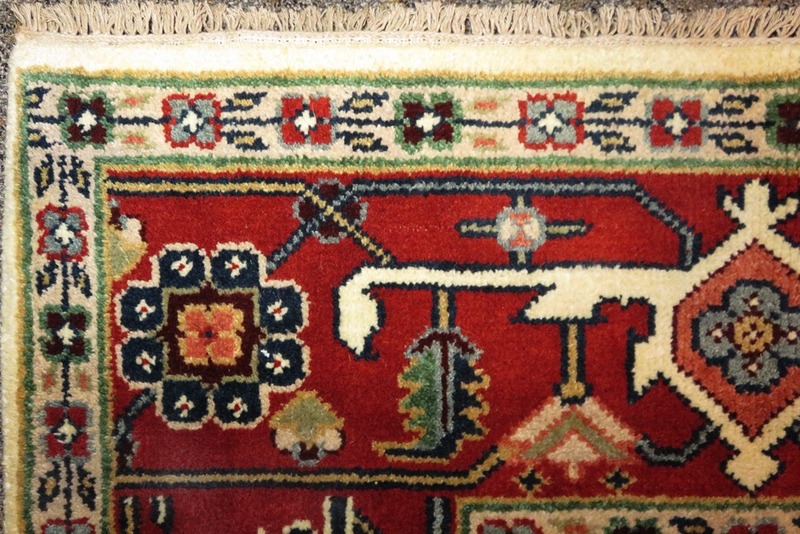 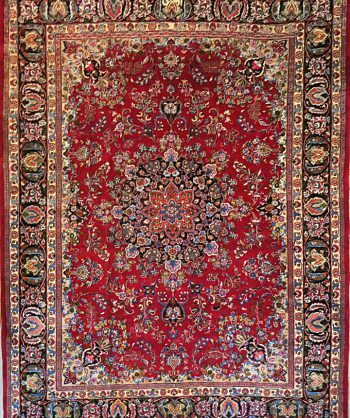 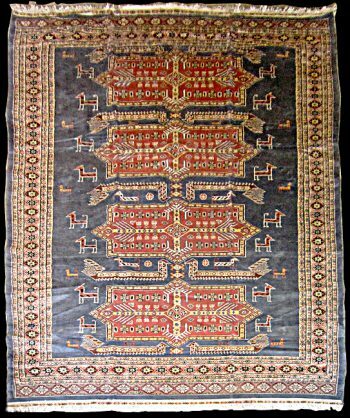 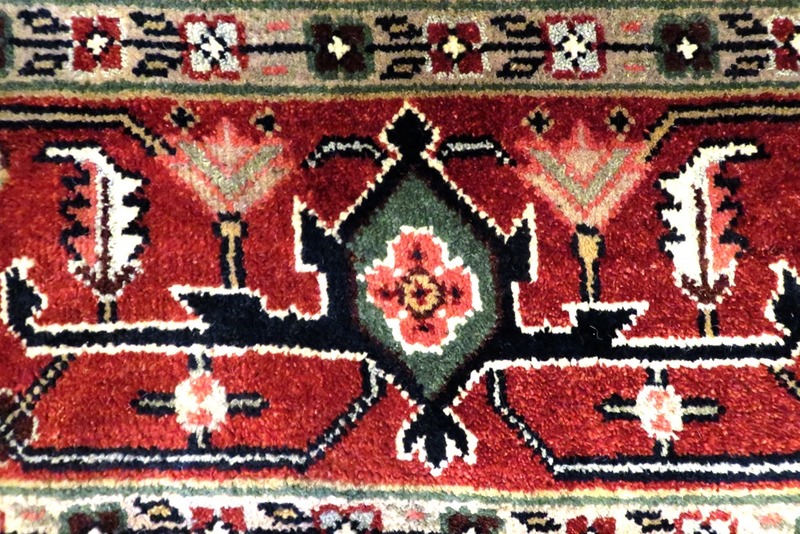 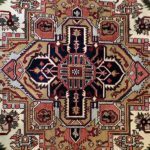 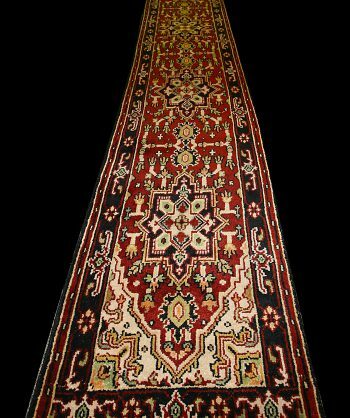 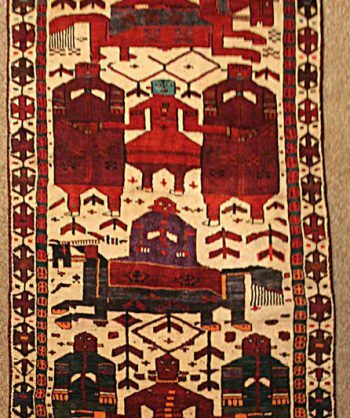 This Persian Heriz Rug is in excellent condition and has never been used. 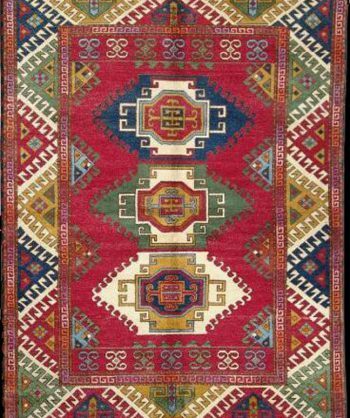 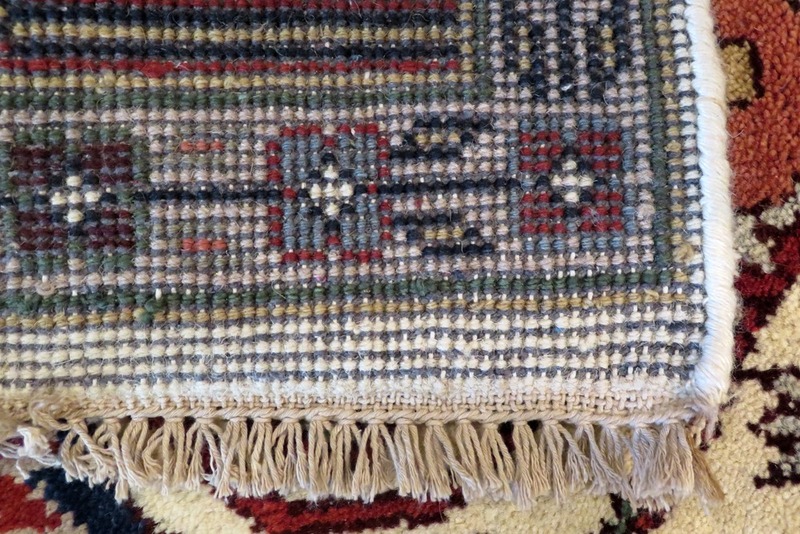 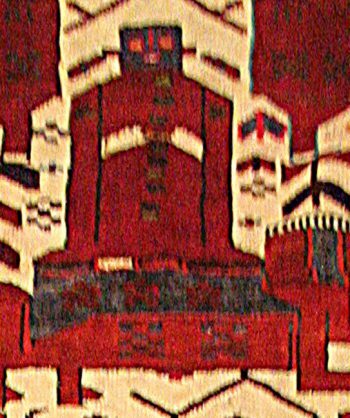 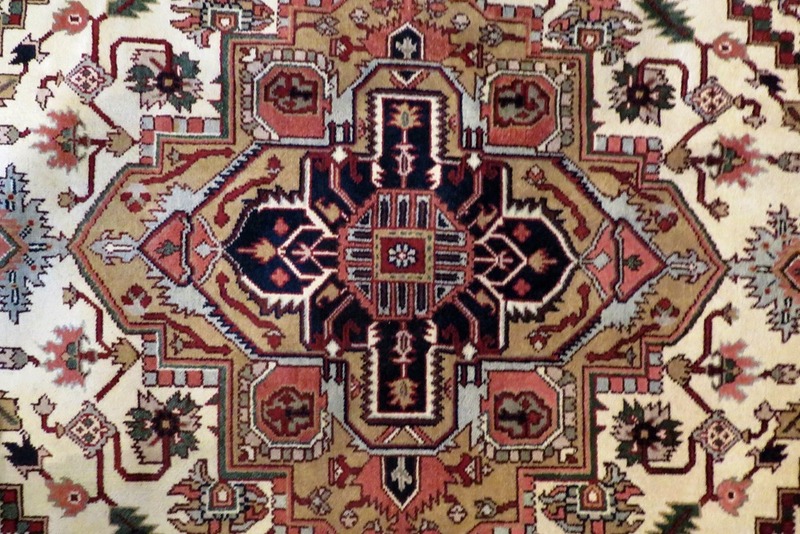 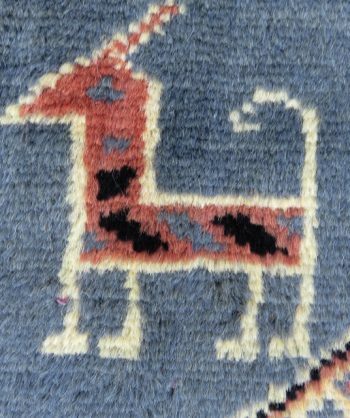 It was hand-woven on a loom in a village that specializes in the Heriz design and natural dying techniques passed on through the village’s ancestors. 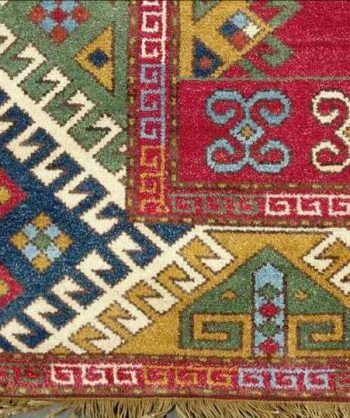 The colors are rich and vibrant!